A cheer clinic and tryouts will be held by Paris Junior College on Saturday, April 6, in the Hunt Center. The mandatory clinic is 9:30 am to noon and the tryouts begin at 1:00 pm. Cheer clinic participants must have completed a tryout application, have a 2.0 cumulative GPA, if an incoming student, and must have a completed tryout medical release form. 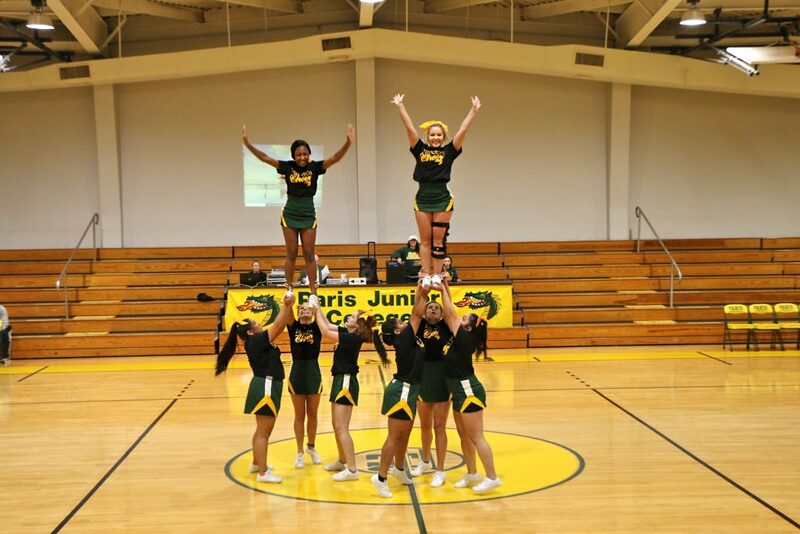 Cheerleaders at PJC receive scholarships to cover tuition and fees, and uniforms and equipment are provided. Members of the cheer squad have access to athletic trainers and training facilities, and one Kinesiology elective credit hour is available per semester, as well as community service event participation. The application and additional information are available at www.parisjc.edu/cheer or contact PJC Cheer Coach Megan Chapman at mchapman@parisjc.edu.